I hope that you all had a great weekend...hopefully your footy team had a win?! I will not break any records around the footy tipping this year for sure! Catholic Day - Tuesday 6th June. This gives everyone an extra long weekend to enjoy! Winter Sports Carnival - Thursday 8th June. Please make sure that your child has returned their permission slip. We will be having a practice this Friday afternoon from 1.30pm. Students requiring any special equipment (hockey sticks, mouth guards etc.) will need to bring these. Eisteddfod Choir - Friday 16th June at 1.30pm. I will be sending a permission slip home tomorrow. Important information to note - we will be performing in the afternoon session which will conclude around 2.30/3pm. We will hop on the bus to come back to school as soon as possible but we will be back after the bus so you will need to make arrangements to either take your child from Bunbury or pick them up from school. 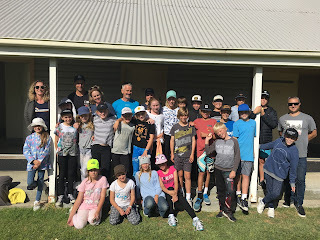 Welcome back to Week 5…we had an amazing time on camp at Woodman Point and I hope that you have had a chance to hear all about it!!! It was a fantastic opportunity to get to know the students in a different way and I was incredibly impressed and proud watching them conquer their fears to attempt some really tricky challenges. They were incredibly supportive and encouraging towards each other and the adults on camp and it was wonderful to be a part of! I would once again like to thank Alicia Higgins, Katinka Boyes, Simon Howard and Nathan Omodei for giving up their week to join us. Their sense of humour and willingness to give everything a go was greatly appreciated!! We had an awesome week and I really enjoyed it, thank you for having them so well prepared! Please find below some important information regarding Camp 2017. The adults attending Camp are Mrs Caitlin Delane. Mr Ben Danaher, Mr Sean McSevich, Mrs Alicia Higgins, Mrs Katinka Boyes, Mr Simon Howard and Mr Nathan Omodei. Mr Wilkie and Fr Ian will be joining us on Wednesday to celebrate mass in the afternoon. I am very grateful to those parents that volunteered their time, it is going to be a great week! We will spending the week at Woodman Point Camp. In the unfortunate event of a family emergency please contact Mr Wilkie directly and he will get in touch with me. 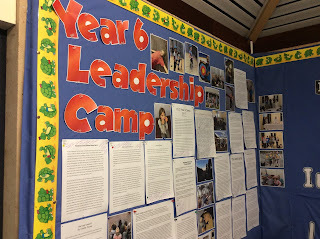 The activities are designed to challenge the students physically and mentally, encourage and facilitate teamwork and strengthen bonds with each other. Some of the activities include Abseiling, Archery, Flying Fox (so much fun), Bike Riding, Orienteering, Raft Building and Team Games. Welcome to Week 3. It promises to be a busy one as we finalise our preparations for Camp next week. Uniforms - Just a friendly reminder that your son/daughter should be in full winter uniform by this week. For the boys it means the long pants with the white short and the girls are wearing their skirt and blouse. Please make sure that they are predominantly white sneakers as per the OLC Uniform Policy. Camp Forms - If you can please make sure that you have filled in the permission slip and medical form and return it to me as soon as possible. I am unable to take your child on camp without it. Those students that have no yet returned their forms have been given new copies to take home today. Please make sure that the $300 payment is made to the office by Friday 12th May. Please send in two packets of biscuits with your child by Friday 12th May - many thanks to those families that already have.